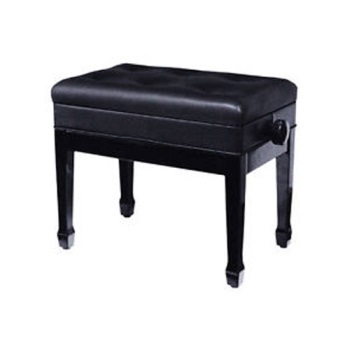 The Palatino BP-120 Deluxe Padded Bench features a comfortable simulated leather seat with storage, sturdy wood frame, and adjustable height control. The seat height can be adjusted from 18.5" to 22". Black finish.